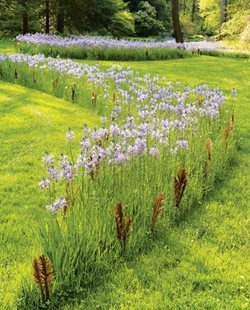 While the size of a pond is limited by the available space, remember that more water volume will mean clearer, cleaner water and less maintenance. Woody's Custom Landscaping Inc in Battle Ground, WA. A perspective drawing showing a pond with a depth of 2.5 feet. Pond size is measured in width, length and depth. 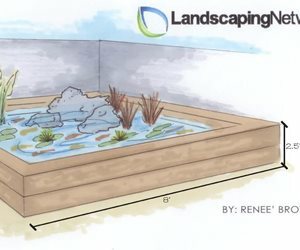 These three measurements determine the volume of water needed to fill the pond. 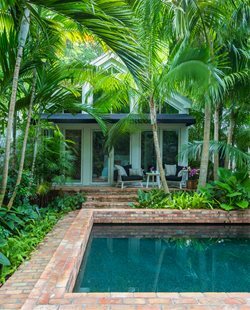 The main factor affecting pond size is your available space. 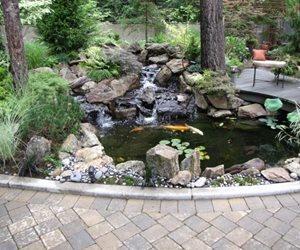 It's important to consider the scale of the rest of your landscaping and create a pond that's size is in proportion to the other elements in your yard. 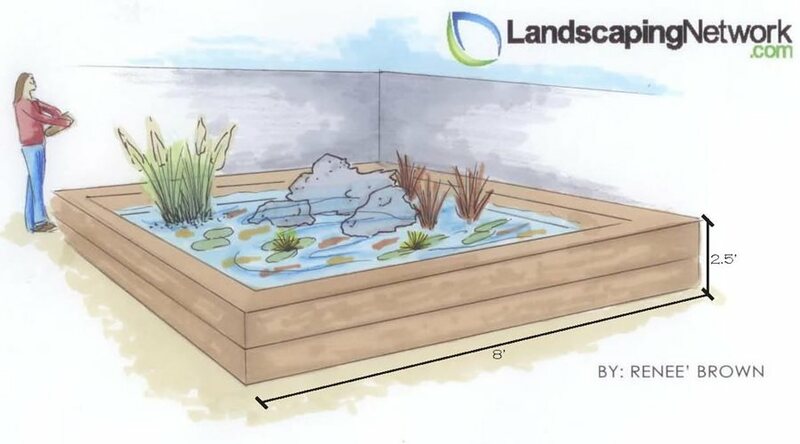 When deciding on the size of a garden pond it's important to remember that larger ponds, with a higher volume of water, are easier to maintain. The water in small, shallow ponds often warms up quickly in the sunlight providing the perfect conditions for algae and bacteria growth. This can result in green or murky waters. 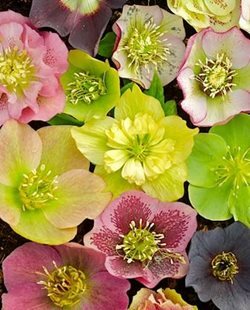 It's recommended that garden ponds be at least 2 feet in depth to make sure there is enough water volume to avoid this issue. If you live in a cold climate where the pond may freeze go even deeper, try 3 feet. The depth of koi ponds should be 3 feet on average because the fish will need extra space to swim and grow. Plus the extra water volume will help combat any polluting effects the fish may have on the pond. Pond volume refers to the amount of water needed to fill a pond. 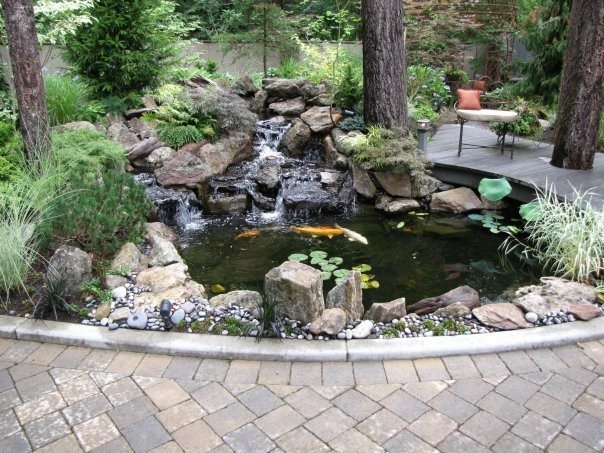 The higher the water volume the cleaner and easier to maintain your pond will be. Generally, pond volume is measured in gallons and can range greatly in size. You will need to know your pond volume in order to select the appropriate pumps and filters.